The Standard Template Construct (STC) systems were complex analytical and processing programs, artificial intelligences, created during the Dark Age of Technology (M21 – M23). They are said to have contained the entirety of human technological knowledge up to that point. Following the Age of Technology, the systems became increasingly rare, until becoming lost entirely. In the current Age of the Imperium, the ancient technological knowledge survives only because it was preserved in STC hard copies. The Dark Age of Technology saw the original development of the technology the Imperium is now reliant on, which was encapsulated into the STC systems. Along with the creation of Warp Drive technology and the human mutants known as Navigators, the STC systems were one of the major factors in mankind’s expansion outside the solar system and his conquest of the stars. The STC allowed disparate mankind to maintain a standard level of technology. A complete, functioning STCs system was an evolved computer designed to provide construction details for human colonists, enabling them to build efficient shelters, generators and transports without any prior knowledge and using almost any locally available materials. For example, the user simply asked how to build a house or a tractor and the computer would supply all the necessary plans. During the Age of Strife, the STC systems lapsed into disuse and decayed, becoming increasingly unreliable and quirky. On some worlds they were maintained, but most suffered damage by enthusiastic software specialists or subsequent jury-rigging. Hard copies of the information they contained survived much longer, and were frequently copied and passed down from generation to generation. Some Imperial historians have theorized that scientists during the Age of Technology foresaw the coming of the Age of Strife, and created the STCs to ensure that their knowledge would not be lost to future generations. In the Age of the Imperium, working STCs are practically unknown. The recovery of fragments of an STC or the templates used in one is the primary focus of the Adeptus Mechanicus‘s quest for knowledge. Part of this quest is also to find, collate and utilise STC print-outs. The STC is their equivalent to the font of all knowledge (which is exactly what it was intended to be). Ancient recovered print-outs from STCs are regarded as sacred texts. The Mechanicus strives to recover as much information as possible from them, hoping to find new knowledge, weapons and technologies. 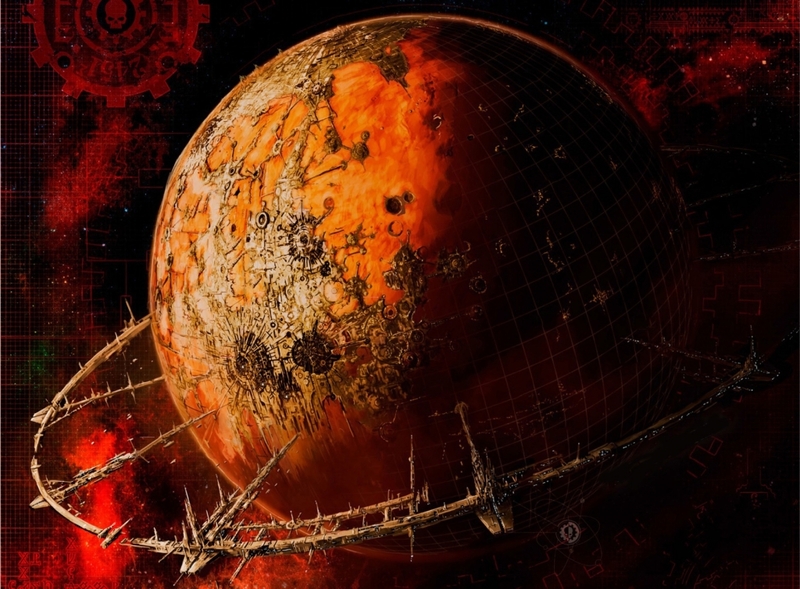 Although the most advanced technological information eludes the Adeptus Mechanicus, through their efforts, much has been either recovered or reconstructed through comparison of copies. Probably the most significant find of an STC fragment was by Magos Arkhan Land in M31. This fragment contained the templates for the construction of the now famous Land Raider Main Battle Tank, and the Land Speeder, all named in honour of their discoverer. An intact, functional STC is so rare in the galaxy as to be regarded as almost mythical, an impossibility. Nevertheless, even a rumour that such a system has been found is enough to prompt a Mechanicus expedition to locate it. If a working STC could be found, it would revolutionize the entire Imperium. The technologies lost during the Age of Strife would bring humankind back to its zenith of power, pushing the boundaries of the Imperium further, and emasculating the aliens threatening mankind. 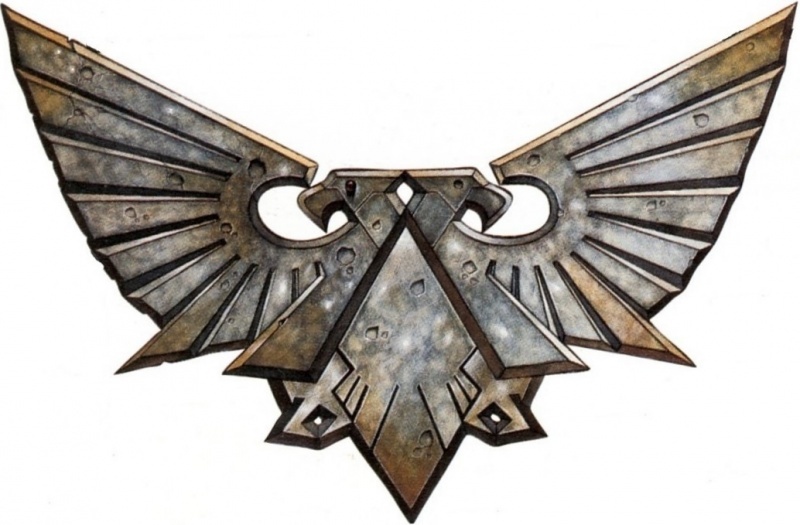 In M30, the STC designs for the Baal Predator were discovered on the planet of Atium III within the ruins of Arch-Heretek Lord de Ladt’s fortress by the Blood Angels Space Marine Legion. The Blood Angels refused to hand this STC over to the Adeptus Mechancius and current is still stored on the Blood Angel’s homeworld of Baal. Sometime in M31, the Magos Arkhan Land discovered within the Librarius Omnis the STCs for Land’s Raider-Pattern Main Battle Tank, Land’s Crawler multi-purpose heavy utility vehicle, the Mars Universal Land Engine (the basis of the Onager Dunecrawler), and the information on rare anti-gravitic plates used in Land’s Speeder, all of which are named for him. During the Great Crusade, the STC for the Leman Russ Battle Tank was discovered by the Space Wolves after they had destroyed the Noman xenos. They named the fruits of the STC in honor of their Primarch. After the Battle of Sixty-Three Nineteen, 3 new STCs were recovered from the planet Sixty-Three Nineteen, by the Luna Wolves Astartes Legion. An STC database was captured from the Auretian Technocracy by the Warmaster Horus Lupercal prior to his rebellion against the Imperium. This technology was gifted to the Fabricator-General of Mars at the time, Kelbor-Hal, to secure his loyality for the rebellion. The STC is presumedly still on Mars, lost somewhere within the archives. During the War of Recovery in 104.M35, several first generation copies of STC databases concerning certain individual technologies were recovered on the planets of the Mortuam Chain. Following the Age of Apostasy the Centurion STC was discovered. In M39, a complete STC database was discovered within the pre-Imperium void ship Spirit of Eternity. 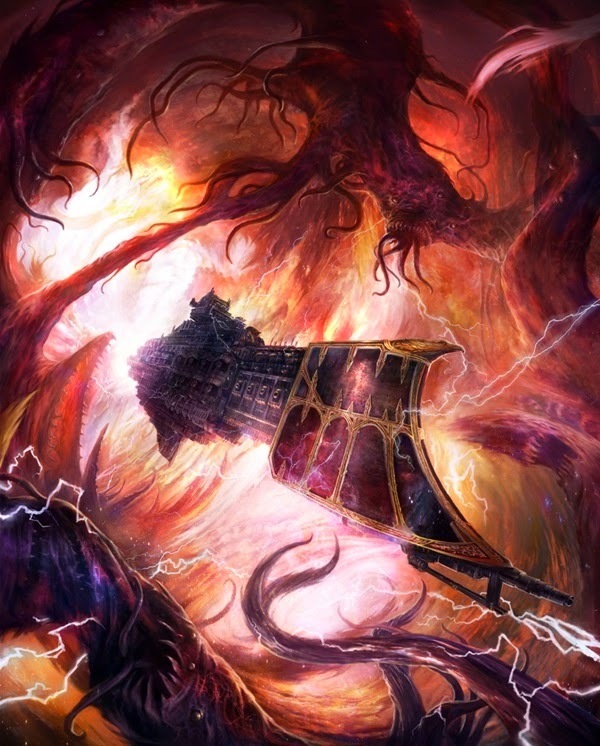 Despite resistance from the STC’s A.I., Archmagos Plosk was able to download a significant fraction of the STC database before the ship managed to escape. This was an uncorrupted A.I., but it was insane with grief over the death of its captain. The STC aboard the starship was one of the last created and was capable of both time travel and intergalactic travel. Prior to 775.M41, an STC for a combat knife was discovered by two Imperial Guard Scouts that was “sharper and lighter and tougher.” They were hailed as heroes for this discovery, and received a planet each. The knife was adopted by 30 chapters of the Adeptus Astartes. Between 775.M41 – 778.M41, a Standard Template Constructor, designed to produce the legendary Men of Iron, was discovered on the planet Menazoid Epsilon, during the Sabbat Worlds Crusade by Colonel-Commissar Ibram Gaunt. However, the Constructor had been corrupted by the long-time occupation of the planet by the forces of Chaos, and so Gaunt ordered it destroyed, inadvertently thwarting the plans of Lord Militant Hechtor Dravere and Radical Inquisitor Golesh Heldane to use the Men of Iron for their own advancement. 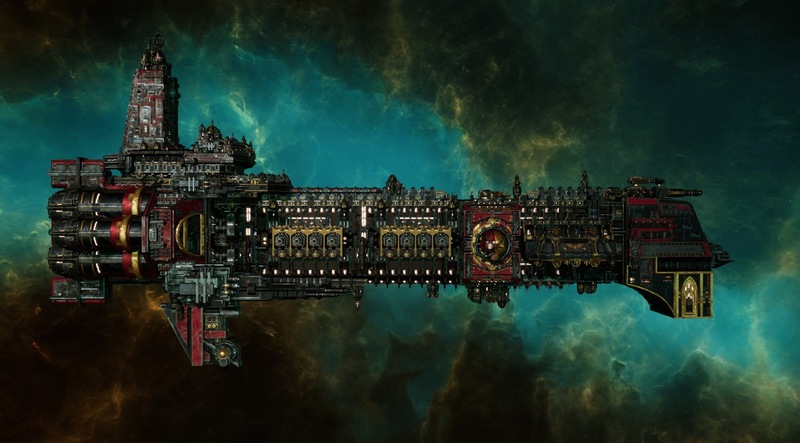 While connected to the Machine Spirit of the Ark Mechanicus ship Speranza, Archmagos Lexell Kotov discovered that the ship contained a complete and still updating STC. He theorized that all Ark Mechanicus ships contained these, but that the priesthood have been unable to access the files. This information was wiped from his mind upon disconnecting from the ship’s Machine Spirit.